The Chinese boy, Ping, has returned to Green Knowe alone to stay with Mrs. Oldknow. During a visit to a zoo in London prior to his arrival at Green Knowe, he is fascinated by the giant gorilla Hanno; as a refugee, he feels a powerful bond. 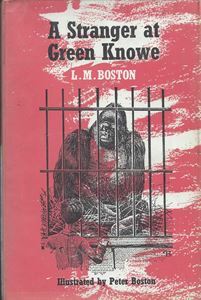 After Hanno escapes from the zoo and makes his way to Green Knowe, Ping befriends him. The early chapters of the book detail Hanno's life as a young gorilla in Africa and the trauma and cruelty of his capture with great compassion and finesse.